FIBA is so excited about the latest success story from one of our 2017 cohort companies…Weissbeerger! 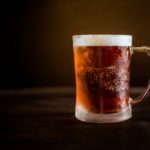 Anheuser-Busch InBev SA/NV, the world’s largest beer brewer, has acquired Tel Aviv-based WeissBeerger, a beverage consumption analytics startup, according to a statement by WeissBeerger, which was emailed to Calcalist on Wednesday. “AB InBev is a truly global brewer and our partnership with them will enhance our connection with customers and consumers around the world,” Ori Fingerer, Weissbeerger co-founder, said in an emailed statement. Check out the article in its entirety.